Michelle Bega, a spokeswoman for the Marshall family, said Tuesday that Marshall died in her Los Angeles home on Monday night due to complications from diabetes. "Our family is heartbroken," the Marshall family said in a statement. In "Laverne & Shirley," among television's biggest hits for much of its eight-season run between 1976-1983, the nasal-voiced, Bronx-born Marshall starred as Laverne DeFazio alongside Cindy Williams as a pair of blue-collar roommates toiling on the assembly line of a Milwaukee brewery. A spinoff of "Happy Days," the series was the rare network hit about working-class characters, and its self-empowering opening song ("Give her any chance, she'll take it/ Give her any rule, she'll break it") foreshadowed Marshall's own path as a pioneering female filmmaker in Hollywood. "Almost everyone had a theory about why 'Laverne & Shirley' took off," Marshall wrote in her 2012 memoir "My Mother Was Nuts." ''I thought it was simply because Laverne and Shirley were poor and there were no poor people on TV, but there were plenty of them sitting at home and watching TV." Marshall directed several episodes of "Laverne & Shirley," which her older brother, the late filmmaker-producer Garry Marshall, created. Those episodes helped launch Marshall as a filmmaker. When Whoopi Goldberg clashed with director Howard Zieff, she brought in Marshall to direct "Jumpin' Jack Flash," the 1986 comedy starring Goldberg. "Jumpin' Jack Flash" did fair business, but Marshall's next film made her the first woman to direct a film that grossed more than $100 million. Her 1988 hit comedy "Big," starring Tom Hanks, was about a 12-year-old boy who wakes up in the body of a 30-year-old New York City man. The film, which earned Hanks an Oscar nomination, grossed $151 million worldwide, or about $320 million accounting for inflation. Marshall reteamed with Hanks for "A League of Their Own," the 1992 comedy about the women's professional baseball league begun during World War II, starring Geena Davis, Madonna and Rosie O'Donnell. That, too, crossed $100 million, making $107.5 million domestically. More than any other films, "A League of Their Own" and "Big" ensured Marshall's stamp on the late '80s, early '90s. The piano dance scene in FAO Schwartz in "Big" became iconic. Hanks' reprimand "There's no crying in baseball," from "A League of Their Own," remains quoted on baseball diamonds everywhere. On Tuesday, Marshall's passing was felt across film, television and comedy. The James L. Brooks praised her for making "films which celebrated humans" and for her guiding influence to young comedians and writers. "To many of us lost ones she was, at the time, the world's greatest den mother." "She had a heart of gold. Tough as nails," recalled Danny DeVito, who starred in Marshall's 1994 comedy "Renaissance Man." ''She could play round ball with the best of them." Marshall's early success in a field where few women rose so high made her an inspiration to other aspiring female filmmakers. 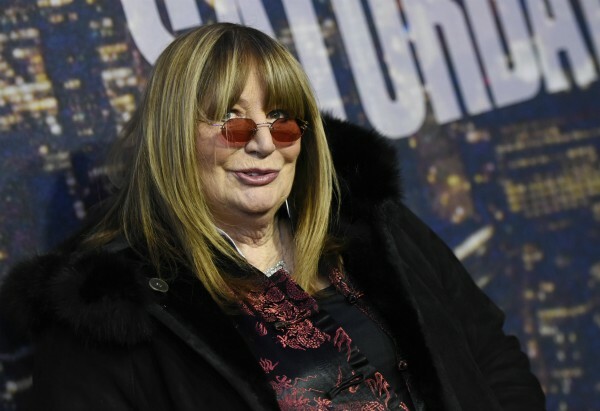 Ava DuVernay, whose "A Wrinkle in Time" was the first $100 million-budgeted film directed by a woman of color, said Tuesday: "Thank you, Penny Marshall. For the trails you blazed. The laughs you gave. The hearts you warmed." In between "Big" and "A League of Their Own," Marshall made the Oliver Sacks adaptation "Awakenings," with Robin Williams and Robert De Niro. The medical drama, while not as successful at the box office, became only the second film directed by a woman nominated for best picture. "Those words are implanted in your soul, unfortunately. It's just the way it was," Marshall once recalled. "You had to learn at a certain age what sarcasm is, you know? When she says it about somebody else, you laughed, but when it was you, you didn't laugh so much." Marshall never again matched the run of "Big," ''Awakenings" and "A League of Their Own." Her next film, the Army recruit comedy "Renaissance Man," flopped. She directed "The Preacher's Wife" (1996) with Denzel Washington and Whitney Houston. Her last film as director was 2001's "Riding in Cars With Boys," with Drew Barrymore. Marshall also helmed episodes of ABC's "According to Jim" in 2009 and Showtime's "United States of Tara" in 2010 and 2011, and directed the 2010 TV movie "Women Without Men."